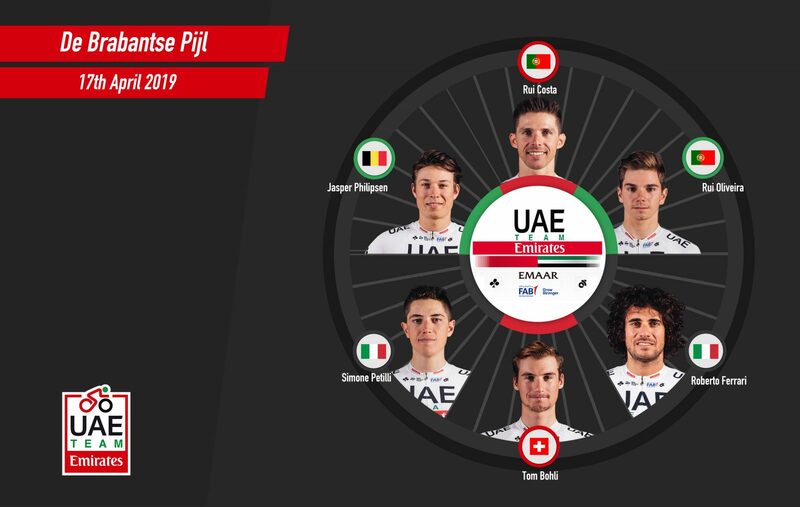 The UAE Team Emirates still races in Belgium, this time at the Brabantse Pijl, scheduled for Wednesday, April 17. Over he 196,2 km race from Leuven to Overijse, the cyclists must cover 31 climbs. The team will be led by the 2013 World Champion in Florence, Rui Costa. “It will be my first participation in the Brabantse Pijl and, since I like to test myself in new competitions, I am very happy to have the chance to debut in this race,” Rui Costa said. “I come from a month in which I focused on training. The work was good, even if it was marked by the training incident at the end of March. I won’t race with particular pressure, but I have the will to fully test what my condition and to get in tune with the atmosphere and rhythm for the Ardennes Classics“.